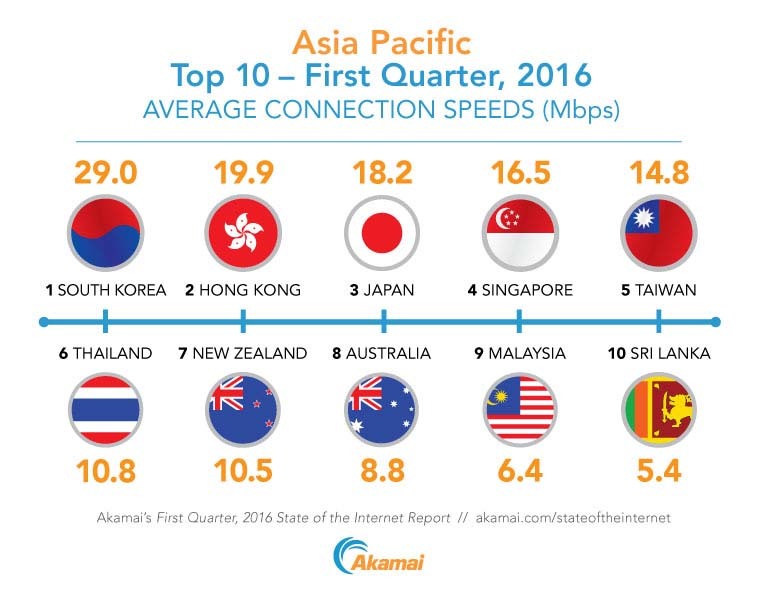 Akamai Technologies, Inc. (NASDAQ: AKAM), the global leader in content delivery network (CDN) services, today released its First Quarter, 2016 State of the Internet Report. 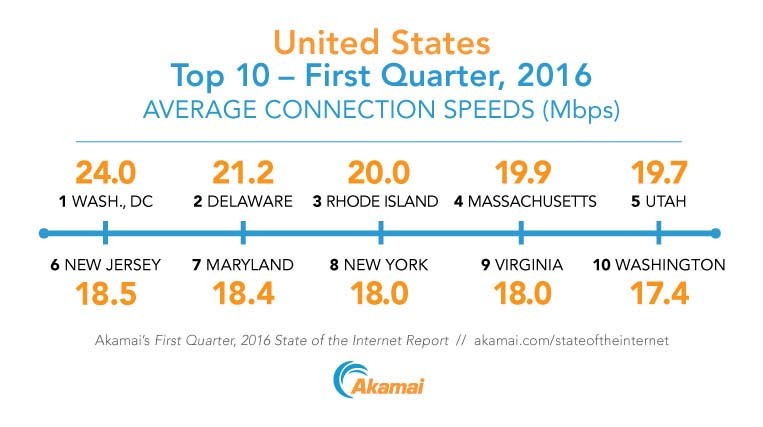 Based on data gathered from the Akamai Intelligent Platform™, the report provides insight into key global statistics such as connection speeds, broadband adoption metrics, notable Internet disruptions, IPv4 exhaustion and IPv6 implementation. 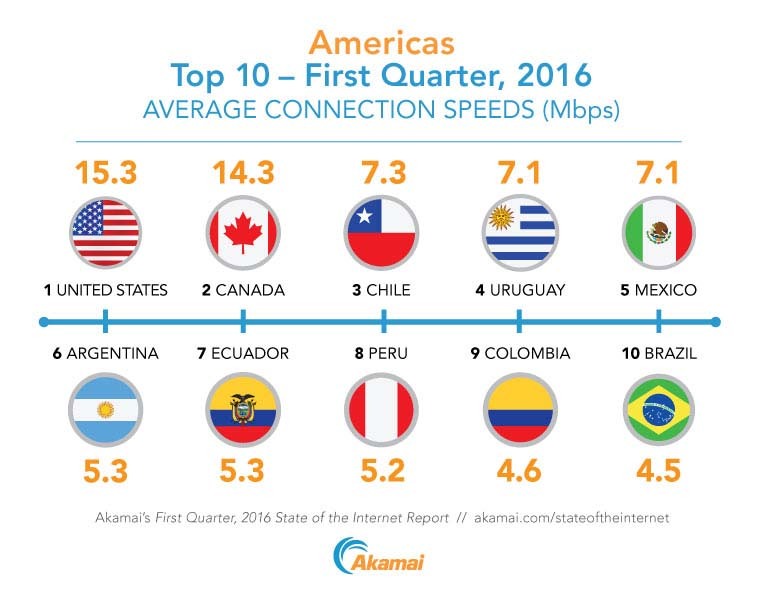 Data and graphics from the First Quarter, 2016 State of the Internet Report can be found on the Akamai State of the Internet site and through the Akamai State of the Internet app for iOS and Android devices. State of the Internet Report-related discussions are also taking place on the Akamai Community. By clicking "Download Now", I agree to receive periodic emails from Akamai containing news, updates and promotions related to Akamai's products and services. 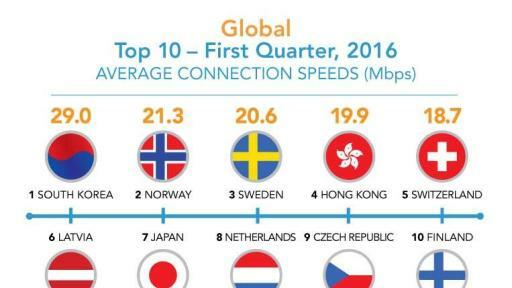 Global average connection speed increased 12% from the fourth quarter of 2015 to 6.3 Mbps, a 23% increase year over year. Global average peak connection speed increased 6.8% to 34.7 Mbps in the first quarter, rising 14% year over year. 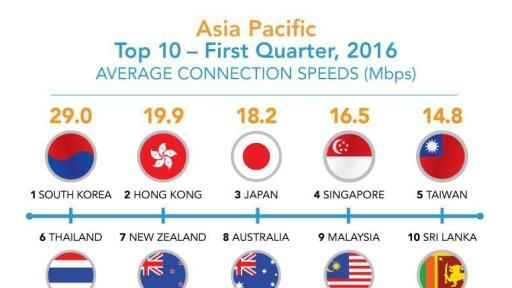 Global 10 Mbps, 15 Mbps, and 25 Mbps broadband adoption also grew significantly in the first quarter of 2016, posting year over year gains of 10%, 14% and 19% at each threshold, respectively. The number of unique IPv4 addresses connecting to the Akamai Intelligent Platform declined 0.2% to 808 million. 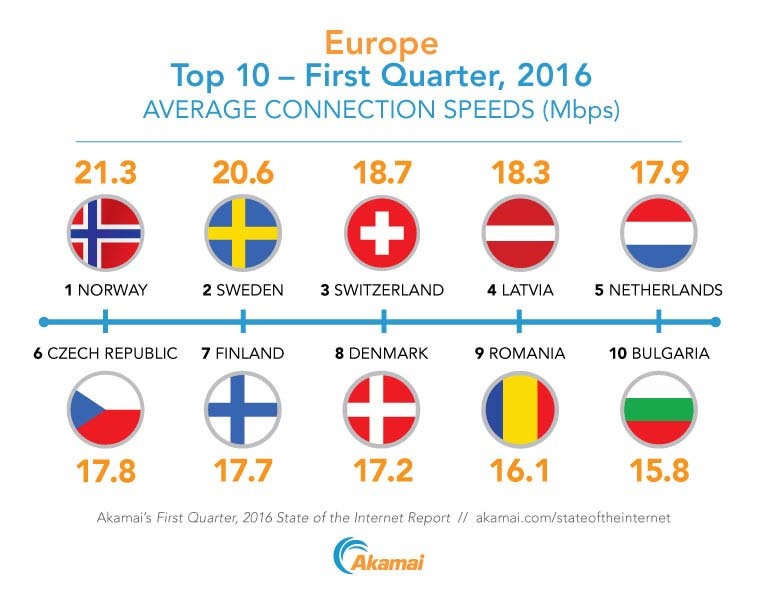 Belgium remained the clear global leader in IPv6 adoption with 36% of its connections to Akamai occurring over IPv6, down 3.1% from the previous quarter. 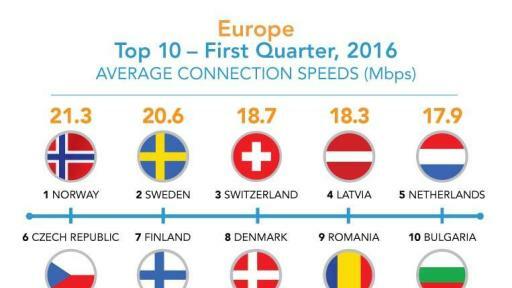 Average mobile connection speeds ranged from a high of 27.9 Mbps in the United Kingdom to a low of 2.2 Mbps in Algeria. 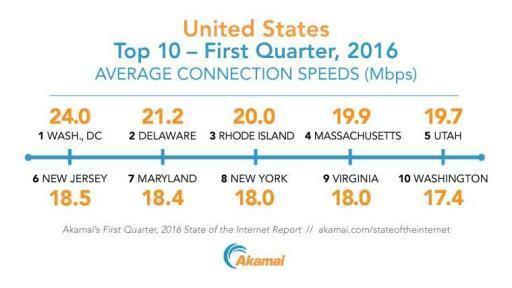 Each quarter, Akamai publishes a “State of the Internet – Connectivity” report. This report includes data gathered from across the Akamai Intelligent Platform about attack traffic, broadband adoption, mobile connectivity and other relevant topics concerning the Internet and its usage, as well as trends seen in this data over time. 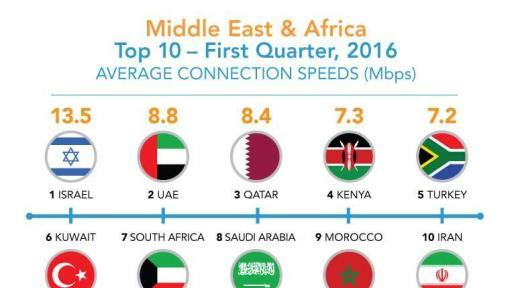 For additional information on the metrics in the report and how they are analyzed, please visit http://akamai.me/sotimetrics. 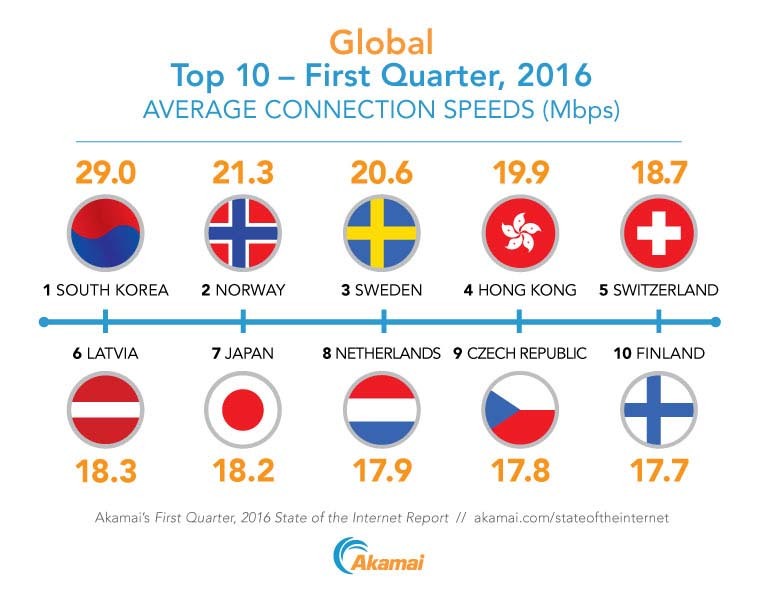 To learn more and to access the archive of past reports, please visit https://www.akamai.com/us/en/our-thinking/state-of-the-internet-report/global-state-of-the-internet-connectivity-reports.jsp. 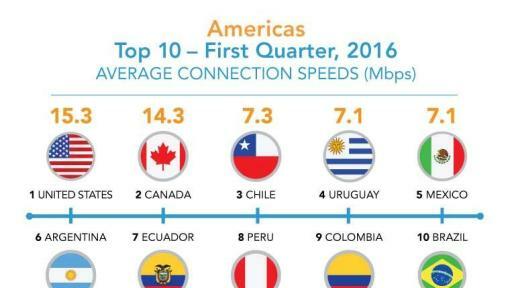 To download the figures from the First Quarter, 2016 State of the Internet Report, please visit: http://wwwns.akamai.com/soti/soti_q116_figures.zip. 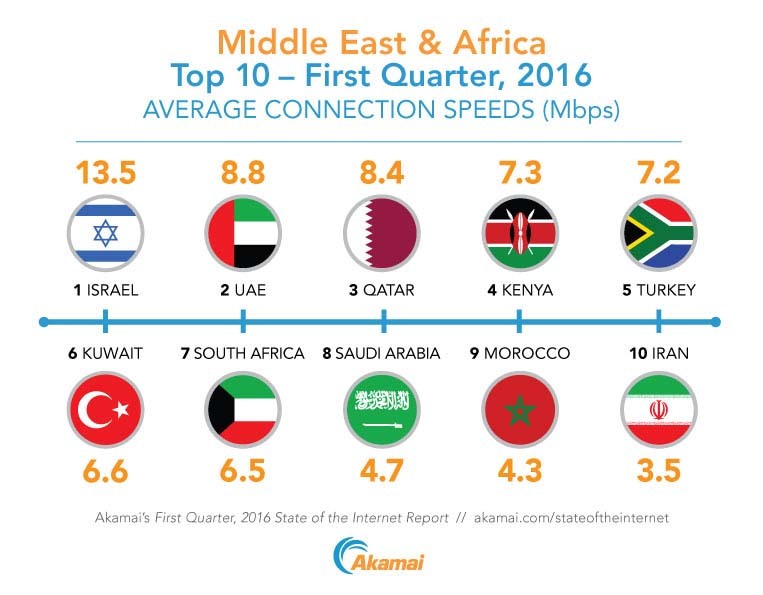 As the global leader in Content Delivery Network (CDN) services, Akamai makes the Internet fast, reliable and secure for its customers. The company's advanced web performance, mobile performance, cloud security and media delivery solutions are revolutionizing how businesses optimize consumer, enterprise and entertainment experiences for any device, anywhere. To learn how Akamai solutions and its team of Internet experts are helping businesses move faster forward, please visit www.akamai.com or blogs.akamai.com, and follow @Akamai on Twitter.